Dapping Punch with Block - 24 pc. Grizzly T24244 - Dapping Punch with Block - 24 pc. Here it is - all in one set. 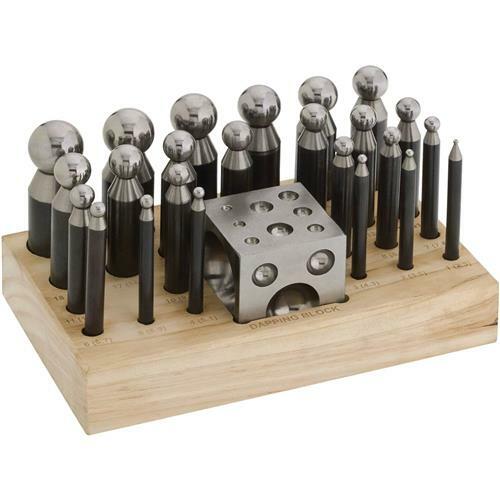 A dapping block made of wood, a doming cube made of forged steel, and 24 punches in various sizes that coordinate to the cube. Punch sizes range from 2.3 to 25mm. Makes a perfect gift for the jeweler in your family.